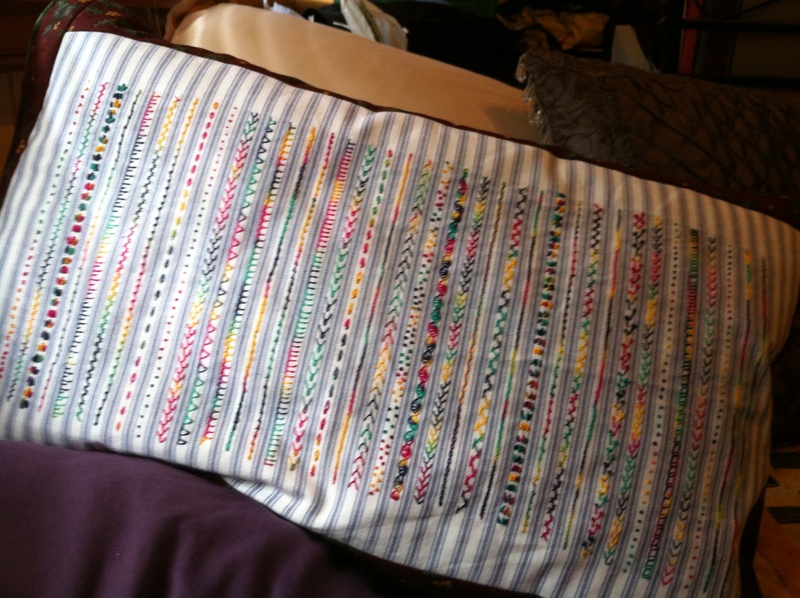 Ok, so I didn’t make my piece of ticking material into a pillow – Mum did. But I did do the lines of stitches embroidered across the material. My first “sampler” of sorts. The next one is a doozy. That’s beautiful Laurene. YOu are so talented. Who owns the roses at the top of the page? Thanks. Not bad for a beginner :). They’re out at mum and Dad’s. It’s a rose called Pierre de Ronsarrd.